Looking for a worry free building? This is the one! An extremely well maintained concrete building with all the big ticket items completed and paid for. New roof, 3 new elevators, re-piped, renovated lobby and new carpeting/paint in hallways are just some of the many upgrades this building has to offer. This move in ready, corner unit features renovated kitchen & baths and a great layout with spacious and bright principal rooms with bedrooms located on opposite ends for added privacy. Enjoy beautiful S.E views from your balcony and large windows. 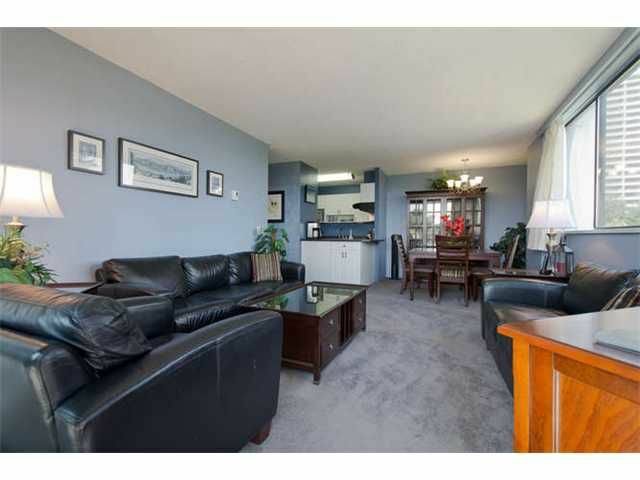 Fantastic location, quick walk to Schools, Transit, Lougheed Mall, Parks, Restaurants, and much more. Rentals allowed & 2 cats allowed. Don't miss out. OPEN HOUSE: SAT. MAY 17TH 2-4PM.